Sussex is haunted by stories. Sometimes it seems that folklore is confined to books, but it’s still out there. Looking at Sussex myths, ghosts and chalk, this talk will show how our world is just as strange as it has ever been. There are ghosts all around us. Tara originally asked me if I wanted to do a version of the talk on Slenderman that she saw at the Towner in 2014. This started out as a performance at 2014’s Brighton Digital Festival and was given in a longer version at Wilderness last year. I’ve also been talking about Sussex folklore at last year’s Brighton fringe and in my performance for Two Knocks for Yes. This talk brings together a lot of those threads. 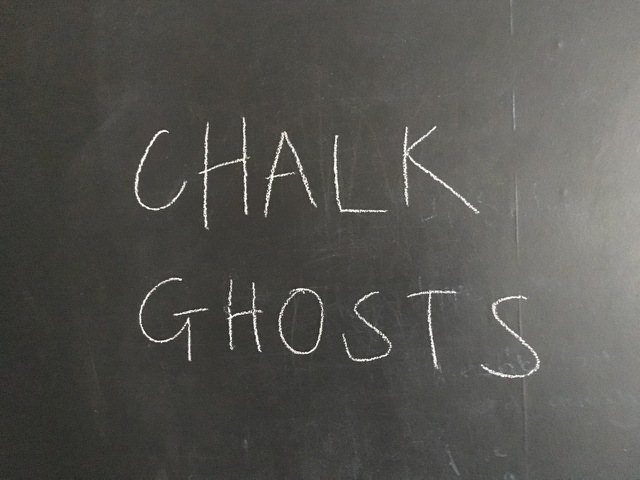 Chalk Ghosts is very much based around Sussex. It’s about what this county means to me – I’ve lived here since I was 2 or 3 years old. I’m currently making projections and recordings, and figuring out how best to use the space. I have no idea quite what this will turn out to be, but it won’t be boring.